Israel has the honor to be chosen as the meeting place of the Euroson 2014. The conference is hosted by ISDUM. The meeting will take place in the David Intercontinental Hotel in Tel Aviv at the date of 26-28 May 2014. EUROSON 2014, the 26th Congress of the European Federation of Societies for Ultrasound in Medicine and Biology (EFSUMB), is a unique opportunity to exchange ideas and information with specialists from around the world. 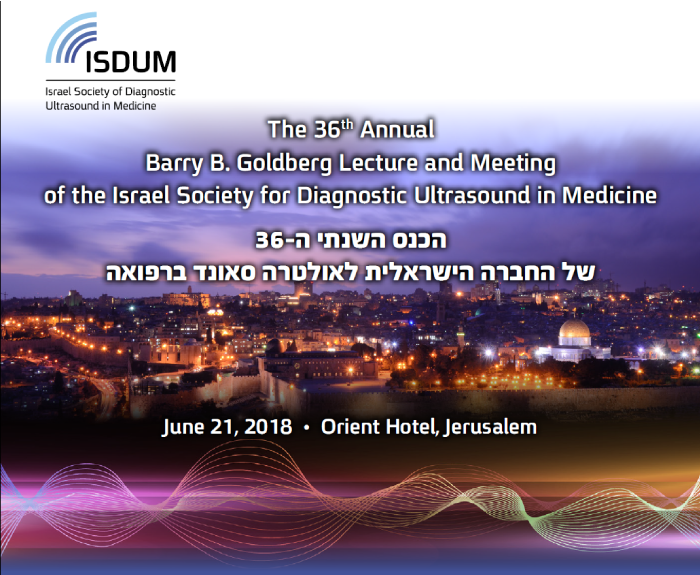 The congress is aimed at professionals interested in medical ultrasound imaging and interdisciplinary collaboration in the field of diagnostic ultrasound including learning about the latest applications of ultrasound in the medical field. Join the worldג€™s leading clinical practitioners in the sunny Mediterranean metropolis of Tel Aviv for four days of debate, discussion and cooperation.